Man, Christmas is just over and already, I’m longing for summer and for BBQ season. I miss it already. 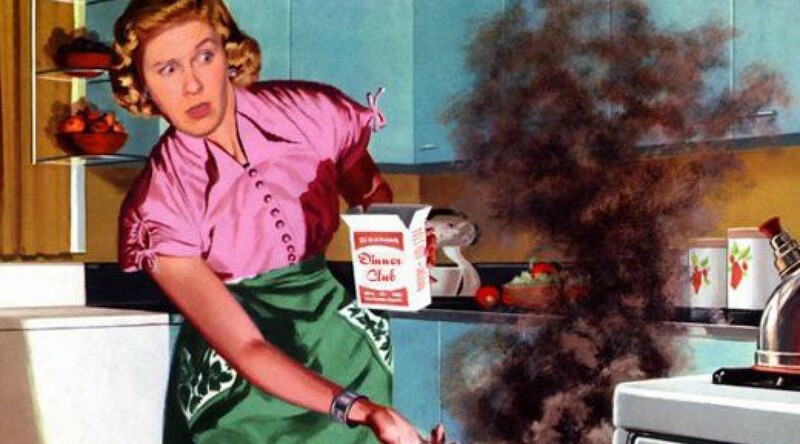 I flippin love grilling up goodness on my barbie. Thankfully I live in a climate that I can still barbeque in all year round without getting all bundled up. Phew. I’m pretty poultry’d out these days and feel like food has been a little bland lately so I decided to make up a little chimichurri action to go with a grilled sirloin and a simple side salad. 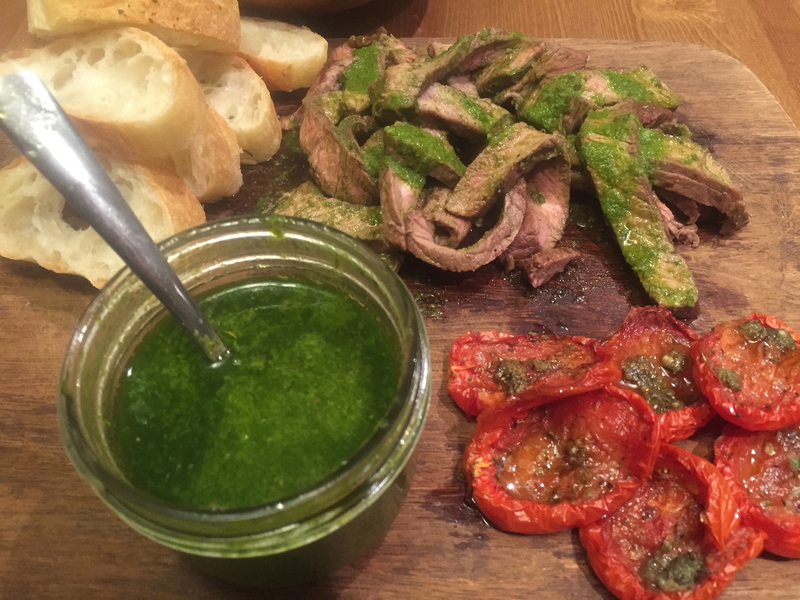 Chimichurri is so ridiculously simple and adds such an exciting and fresh flavour to any meat or vegetables. If you have a case of the winter blahs, this is a great way to liven those senses up!! For those of you who are unfamiliar with chimichurri, it’s a pretty traditional argentinian parsley sauce that is served with grilled meat and/or vegetables. 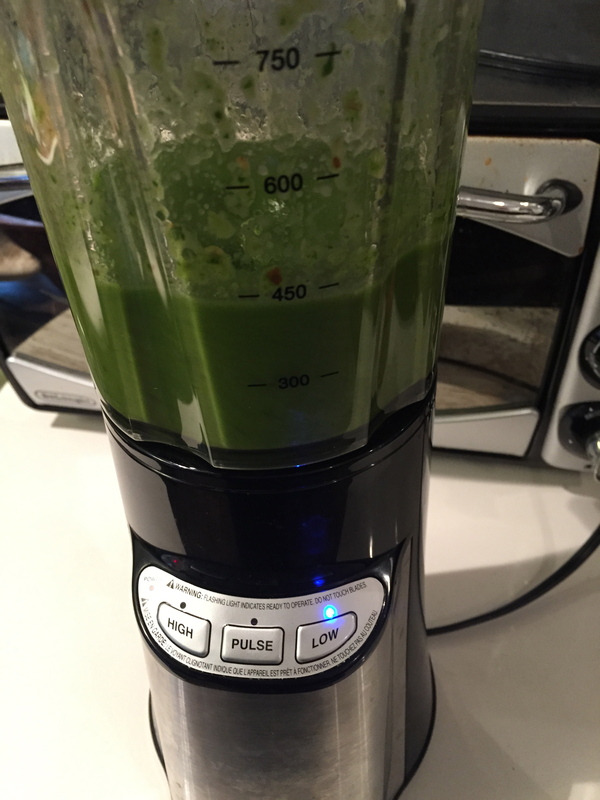 It’s a glorious bright green colour and it uses very simple ingredients that are very easy to find. There are so many different varieties of chimichurri so the possibilities are endless. 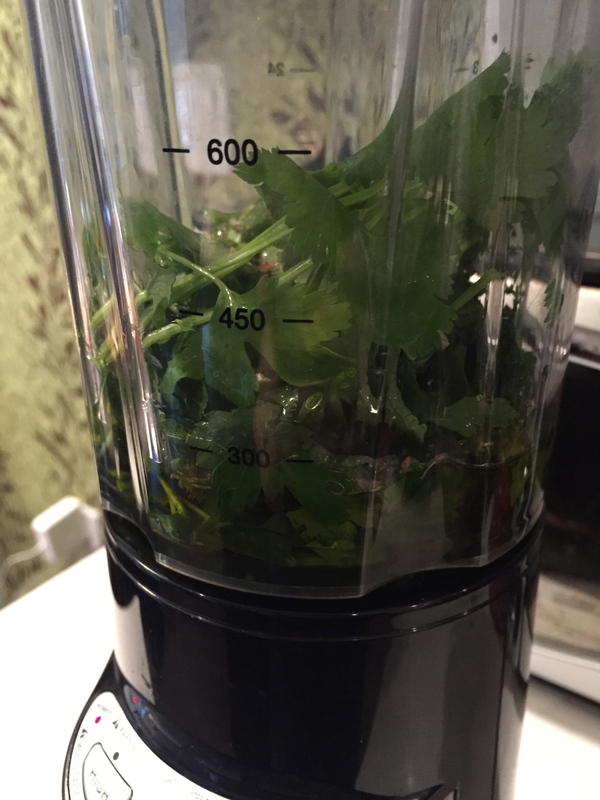 First, get all of your herbs and ingredients ready and then pull out the old blender or food processor and blitz!! That’s right, just blitz!! It’s that simple. Just a few seconds and you have an amazing sauce that will liven any dinner up and it will only take you a few minutes to cook or grill some meat or vegetables. You are welcome friends!! I literally grilled a sirloin steak for a few minutes on each side, sliced it thin and then poured the sauce over top and mixed it up. I plated the steak up with some sunblushed tomatoes I made, a simple salad and a bit of bread on a wooden board and it was an amazing meal. Husband was in complete heaven and requested we have this meal again tomorrow…although he did keep calling it chimichanga sauce??? Isn’t that like a burrito or something?? Shaking head. Look at that!! I think we have another dinner winner!! 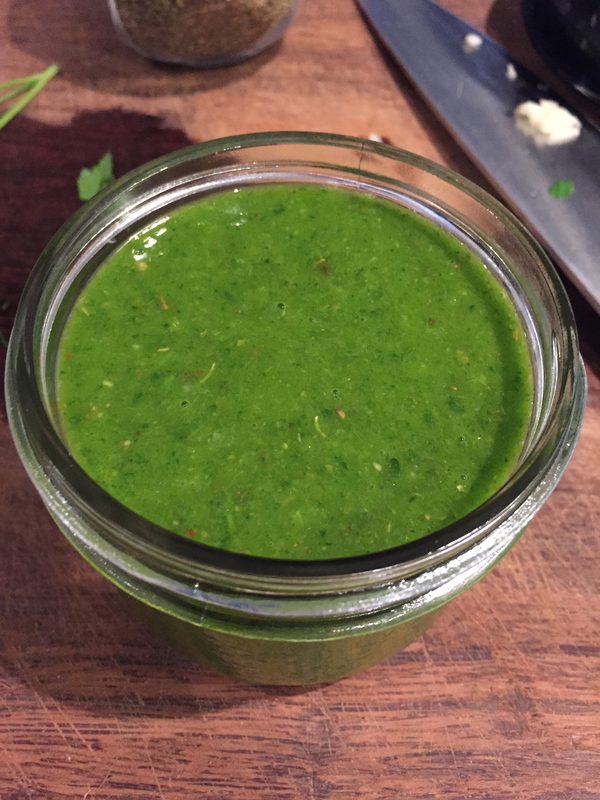 Place all ingredients in a blender and blitz until you have a glorious green thick sauce. *This should last in the fridge for about a week. You will notice it turn a darker green if kept longer than that.